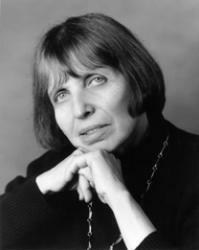 The former Poet Laureate of Maryland, Linda Pastan has received the 2003 Ruth Lilly Award. Since her celebrated new and selected poems, Carnival Evening, she has published The Last Uncle (Norton, 2002), Queen of a Rainy Country (Norton, 2006) and Traveling Light (Norton, 2011). She has been a frequent contributor to Shenandoah and was three times nominated for the National Book Award. and never flubbed her lines.